At a young age Steve was well on his way to being a professional baseball player when his little league coach mentioned that he played like a tax lawyer. Taking this as a compliment, Steve switched focus and never looked back. While Steve doesn’t play baseball anymore, he does enjoy watching sports. For the most part, however, he limits his actual participation to golf, getting his money’s worth since he doesn’t have to pay per swing. Never one to waste time between his many swings, Steve used this time to refine his appreciation for fine craft beer (drinking responsibly, of course). Off the course, Steve operates a taxi service exclusively to transport his three children to and from practices and games, where, hopefully for their sake, they are not also playing like a tax lawyer. Steve’s dedication to his family has also helped him in his career as well. After living in New York City for eight years (earning his LL.M. in taxation, practicing tax law and commuting), Steve and his wife, Heather, decided that their children would be better off living back home in the Capital Region. If not for that decision, Steve never would have found Lavelle & Finn, where he’s been ever since. 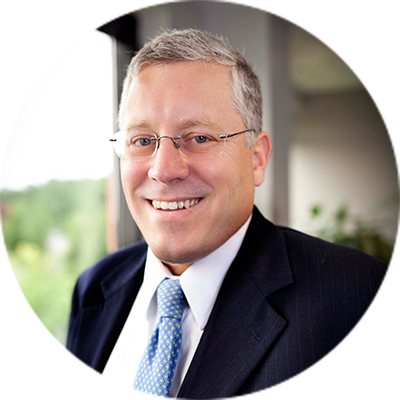 Today, Steve helps business owners and family groups with all of their corporate, tax and estate planning needs. He’s at his best when he can bring all three of these areas together to assist clients in transitioning their businesses from point A to point B; whether that’s positioning for anticipated growth, or transitioning the business to new owners – family members or an outside purchaser. Together with the team at Lavelle & Finn, Steve can ensure that the transition is implemented as the client wishes in the most tax efficient manner; as well as ensuring that the overall plan is coordinated with the client’s (and sometimes the entire family group’s) estate planning objectives. Blending his personal and professional lives, Steve also represents clients in the craft beer industry. From distributors to restaurant owners, he guides his clients through the maze of federal and state rules and regulations to ensure that their craft beer makes it to well deserving customers. His passion for this area of the law is really appreciated by his clients. And yes, he is aware there are worse things in life to be passionate about. On a serious note, Steve prides himself on not just being an attorney that is hired for one-off tasks, but on building long lasting relationships that to ensure that his clients’ long term objectives can be met. And to think, it all started because of a comment from his little league coach, which come to think of it, may not have been intended as a compliment after all.